“I’m adding probiotics to my diet” doesn’t have to elicit looks of pity or feelings of nostalgia for the “fun food” you’ll be perceptively missing out on. Just because that bland yogurt has an incredible PR team, doesn’t mean it’s your only option. There are tons of delicious and non-sacrificing ways you can enjoy probiotics, some of which may even cause rise to new hobbies. 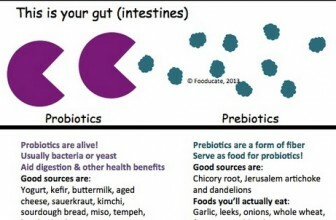 Probiotic sources are varied in both origin and form and can be consumed as any meal of the day. The list below will introduce you to a whole new world of probiotic sources and soon, you’ll find that adding them into your daily meals (or separately, as snacks) will be effortless. All hail the mighty yogurt! The Kardashian of probiotics, yogurt was one of the very first products that made probiotics attractive to the general public. That being said, it also gave rise to a cornucopia of yogurts, some not representative of a quality probiotic at all. If you’re going to go the yogurt way, just remember that a package crowded with health claims usually means that the manufacturer had a big marketing budget, not that the yogurt will ~literally~ give you super-immunity. Choosing a yogurt wisely however, can be very advantageous. Live-cultured yogurt, especially the one you make at home (which is a lot of fun, by the way), not only has a great capacity for carrying probiotics (which is why the idea came about in the first place), but also has the advantage of versatility. Throw some fruit in there! Mix it with granola! Make some overnight oats! Add it to your super-shake! There is no end to what you can do with yogurt and its accessibility makes your quest for health and wholeness less martyrly. While kefir has been popular in the eastern european countries for centuries, its presence in the states is quite recent and even then limited to local health food stores. That being said, many people who make the drink a regular part of their nutrition can easily make it from home. The traditional fermented milk drink is made from a simple mixture of goat’s milk and fermented kefir grains. Versions using cow milk or vegan milk such as coconut or almond are also available, however given the probiotic content, even individuals with lactose-intolerance can comfortably digest it- and even improve their condition. Not only is kefir a great source of probiotics, it is also a protein-rich beverage chock-full of vital nutrients such as calcium and phosphorous, as well as a slew of other vitamins and minerals. Organic kefir without any added sugars is far superior to any other probiotic source as it is the most nutritious and probiotic-dense superfood available. Both fermented cabbage, both full of probiotics, both tongue-tinglingly flavorful. Probiotics don’t have to be bland or sweet and you’ll find that these delicious dishes will add a whole new side (literally) to your quest toward a better gut. Kimchi is a perfect combination of tangy and spicy thanks to savory garlic, fresh peppers, and vinegar. Popular in Korea, this dish is served with every single dish and can be enjoyed alone or as an intense side-kick to any meal. Sauerkraut is is kimchi’s German friend. A little blander for its lack of spice, but non the less delicious as a sandwich topper. Fermented veggies are an amazingly efficient and fun way to add probiotics to your diet. Not only are they a great compliment to savory meals, they also aid in absorption of said meals. So not only are you getting your probiotics, you’re also optimizing the nutrition of the foods consumed alongside. Many stores sell kimchi and sauerkraut that has been pasteurized. Unless you’re making your own and eating it fresh, make sure to buy from the refrigerated isle. Okay, so we’ve blown your mind with savory probiotics, now let’s take it up a notch and add savory and hot. That’s right! There’s a cozy way to enjoy probiotics after all. Any probiotic enthusiast will tell you that the most annoying aspect of sticking to their good bacteria is their immediate death upon heating. This is the reason you’ll find all the probiotic-rich stuff in the refrigerator. Heat kills the entire reason you’re eating cultured foods in the first place. Miso soup, however, can be enjoyed hot and still give you a nice probiotic boost to boot. Created by simply adding a fermented paste out of soybeans, rice koji, and sea salt to hot water, miso soup is as easy to make as it is comforting to sip. It may sound too good to be true, but pickles can indeed be probiotic. Not all pickles, though. If you’re going for the probiotic pickle, the easiest way to tell if it contains those good bacteria and enzymes is its location in your local health food store or supermarket. If the jar is on the shelves, the ‘pickling’ happened via vinegar and the product is pasteurized. These pickles are not probiotic. If however, you find a nice cold jar of pickles in the refrigerated isle, guess what? Those pickles are not only pickled, they’re fermented- and this is what you’re looking for in a probiotic veggie. I do not need to express the myriad ways to enjoy a fresh pickle in order to convince you that eating it as part of your probiotic needs is the greatest idea you’ve ever come across in terms of your gut health. So there you go! 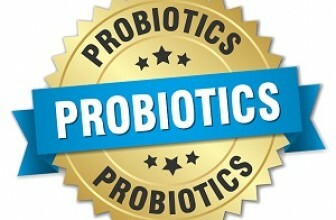 Now you can joyously pursue a diet rich in probiotics without eating “weird” foods. “The Crucial Difference Between Pickled and Fermented | The Healthy Home Economist.” The Healthy Home Economist RSS. 27 Dec. 2012. Web. 11 Nov. 2015. <http://www.thehealthyhomeeconomist.com/the-crucial-difference-between-pickled-and-fermented/>. Sanders, Mary Ellen. 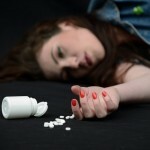 “Probiotics: definition, sources, selection, and uses.” Clinical Infectious Diseases 46.Supplement 2 (2008): S58-S61. O’Sullivan, Daniel J. “Primary sources of probiotic cultures.” Probiotics in food safety and human health (2005): 91-107. Web. 10 Nov. 2015.